Nothing compares to that feeling of success and satisfaction, that moment you’re seeing all your work come to life. 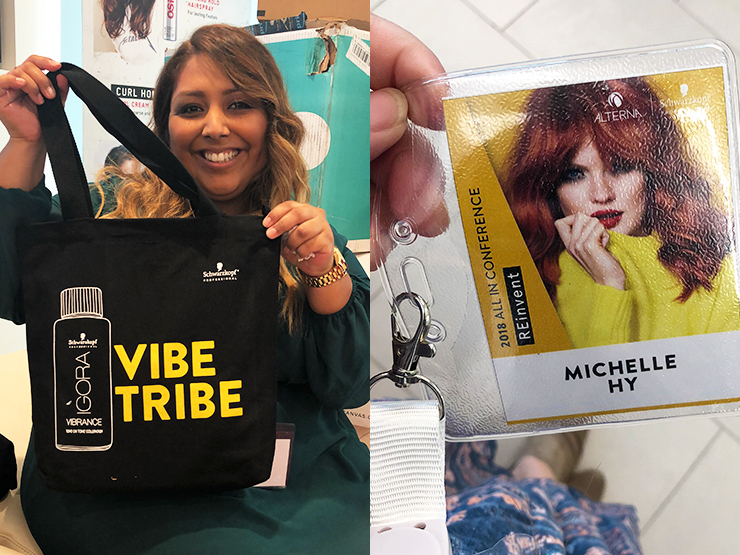 That’s exactly how our Schwarzkopf squad members: Elisa, Silvana and Michelle felt after attending the 2018 All In Conference with the Schwarzkopf Professional and Alterna teams this past Monday. 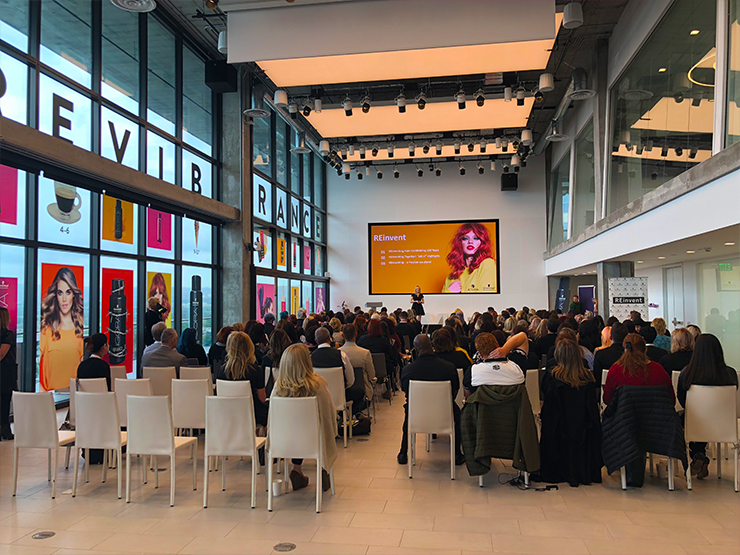 The conference was held in the stunning new Academy of Hair Space at the Henkel North America Headquarters in Culver City. It was a full day of speakers, showcasing new products, new ideas and discussing future strategies from the Marketing, Sales, PR and Education teams. Eat Sleep Work spent the last month planning and designing close to all the collateral that helped brand this event and bring this week-long conference all together. 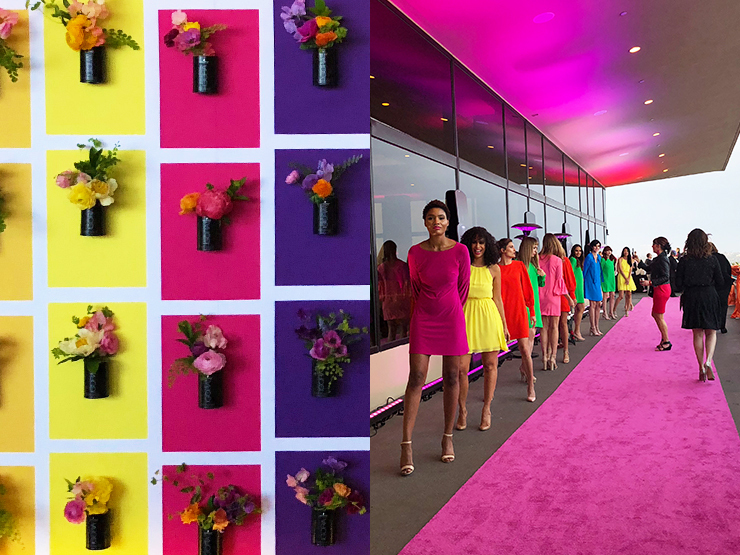 Our team was responsible for practically everything from the LED name badges to the Instagram worthy IGORA VIBRANCE flower wall installation. 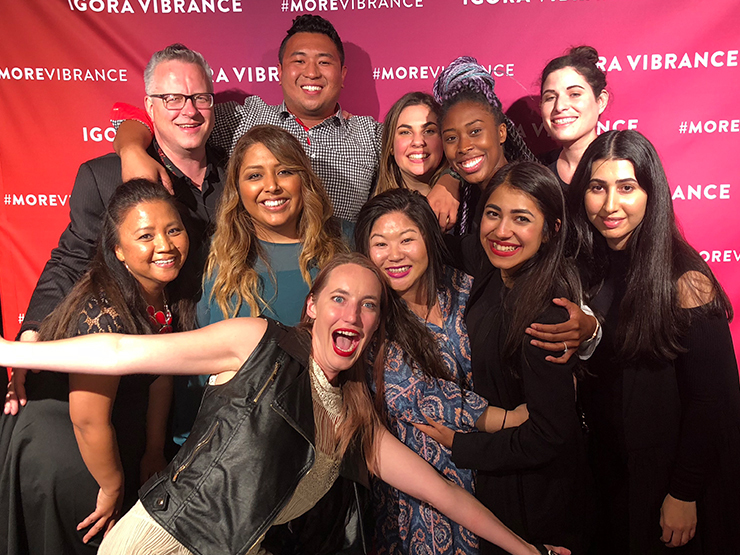 They spent hours of dedicated work designing program books, digital and print signage, eye catching videos, and stunning presentations for each key speaker. The conference could not have been more educational and exciting, filled with a variety of surprises throughout the day. The team’s favorite surprise was the shocking visit by a mob of adorable puppies, also known as the new OSiS+ ambassadors! Along with workshops and games with prizes including a $500 gift card and an Amazon Echo, the conference was quite the fancy function. You could even find yourself taking a photo op with the selfie drones found along the way. Elisa, Silvana and Michelle remarked, “What a memorable experience this was. 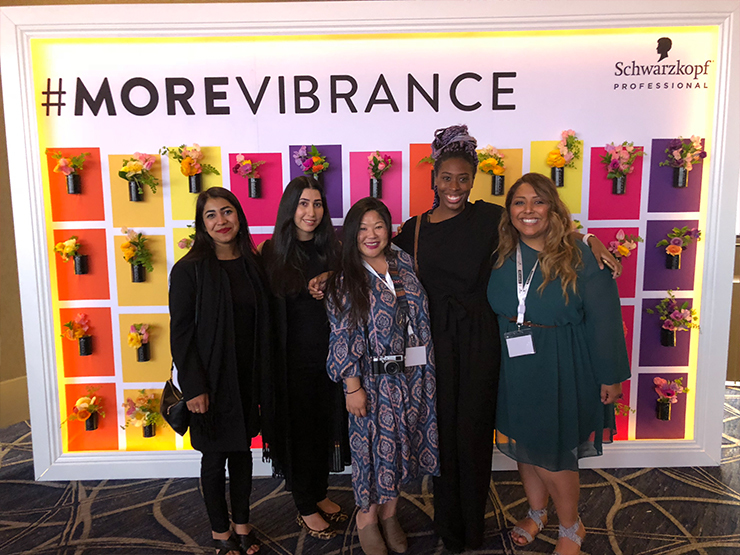 We are proud to be a part of this family and honored to grow along side Henkel teams.” These ladies put in the time and the results reflect their hard work. Eat Sleep Work would like to thank the Henkel team for giving us this amazing opportunity and allowing us to take part in the event! We’re looking forward to our continuation of working together and growing this already impressive brand.